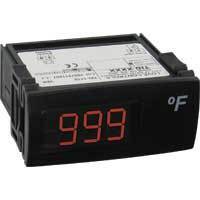 -58 a 302 °F (termistor); -999 a 999 recuentos (4 a 20 mA). Termistor PTC/NTC o 4-20 mA. 115 VCA, 230 VCA, 24 VCA/CC. Pantalla roja, verde o azul de 3 dígitos. 1° o 0,1 de recuento. 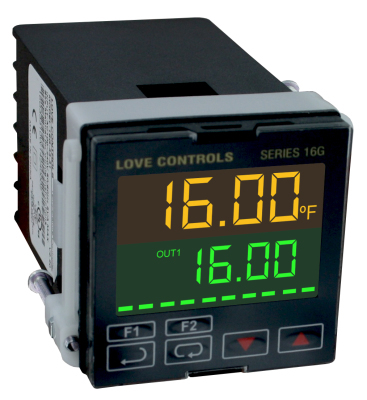 Thermocouple, RTD, DC voltages or DC current. Process value: 4 digit, 0.47" H (12mm), orange LCD; Set point value: 4 digit, 0.47" H (12mm), green LCD. ± 1.8°F plus ±0.3% of span (±1°C plus ±0.3% of span) at 77°F (25°C) after 20 minutes warm up. 100 to 240 VAC -20/+8%, 50/60 Hz; Optional 24 VDC, ±10%. 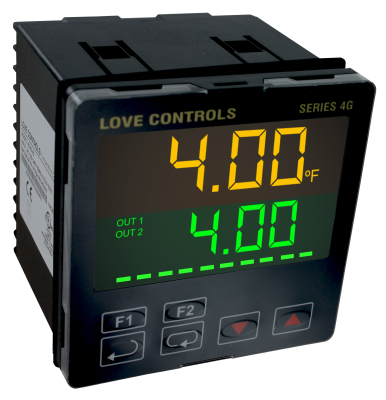 -42 to 150°F (-20 to 65°C). Relay: SPST, 5 A @ 250 VAC resistive; Voltage pulse: 12 V (max. 40 mA); Current: 4 to 20 mA; Linear voltage: 0 to 10 V.
3 A @ 250 VAC resistive. 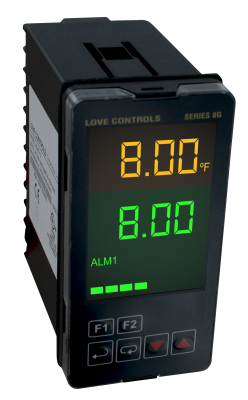 RS-485 Modbus® ASCII/RTU communication protocol.